Lough Neagh Eels are rightly famous. They were awarded EU Protected Name status in 2011, the first product from Northern Ireland to receive the accreditation. These tenacious creatures make their way from the Sargasso Sea in the Atlantic Ocean, carried over 6,000km on the Gulf Stream to the mouth of the Lower Bann, and then into Lough Neagh where they stay for 12 to 20 years before returning home to the Sargasso Sea to spawn. The Lough is home to the largest wild eel fishery in Europe and the men who fish them use traditional methods passed down through the generations, using sustainable practices. Our eels are mainly exported live within the EU, particularly to the Netherlands, Germany and Billingsgate, London. Their creamy flesh is a real delicacy. 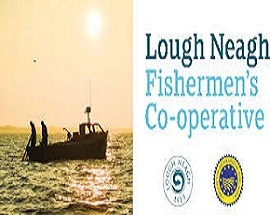 Lough Neagh is also home to several species of wild freshwater fish including Pollan, Dollaghan and Perch. These indigenous fish have their own unique flavours and textures, which make them greatly sought after in mainland Europe. Live, processed and smoked Lough Neagh Eels, Lough Neagh freshwater fish including, Pollan, Dollaghan and Perch. All fish can be purchased at the Co-operatives headquarters in Toomebridge and pre-ordering is necessary for fresh product during season. Frozen product is available at all times. You can taste them in a range of restaurants and they can be ordered through a range of distributers and shops.